Natural England is nationally recognised for its aim to conserve and enhance the natural environment. The Wild Zone Project initially required a creative graphic design strategy to accompany the PR campaign, launched at the NEC in Brimingham. An email marketing campaign followed, building on the success of the initial poster design project. Our services are often called upon by other companies in the creative sector and in this instance, multi award winning Catapult PR. The Poulton-le-Fylde based agency asked us to provide the associated poster design and graphic design for a print project commissioned by Natural England and Cumbria Tourism. 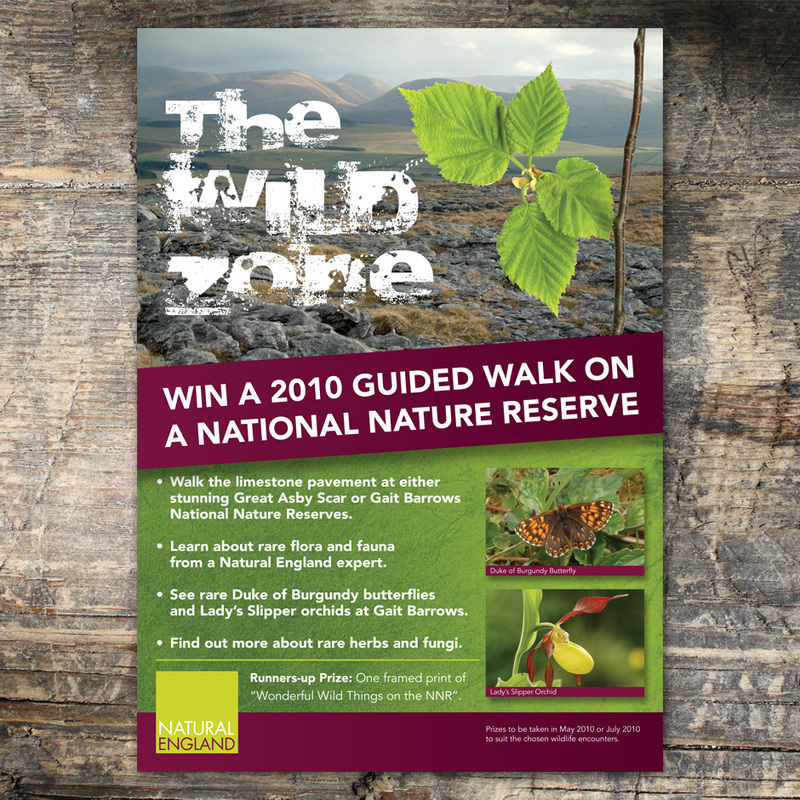 The Wild Zone project required a creative poster design and marketing strategy to accompany the public relations campaign which was launched at the NEC in Birmingham. We created a series of posters which featured on the exhibition stand together with the ‘Have you twigged yet?’ flyers which were distributed to visitors at the show. Following the success of the Wild Zone Project, we were asked to design and produce an email marketing campaign for Natural Economy Northwest. The email marketing campaign was aimed at reinforcing the success of the Wild Zone initiative. The campaign promoted the conservation and enhancement of the natural environment for its intrinsic value. It also promoted the wellbeing and enjoyment of people and the economic prosperity that it brings. A series of three email newsletters were designed and issued over a period of nine months with Quentin James Design providing the design element for the whole of the email marketing campaign.